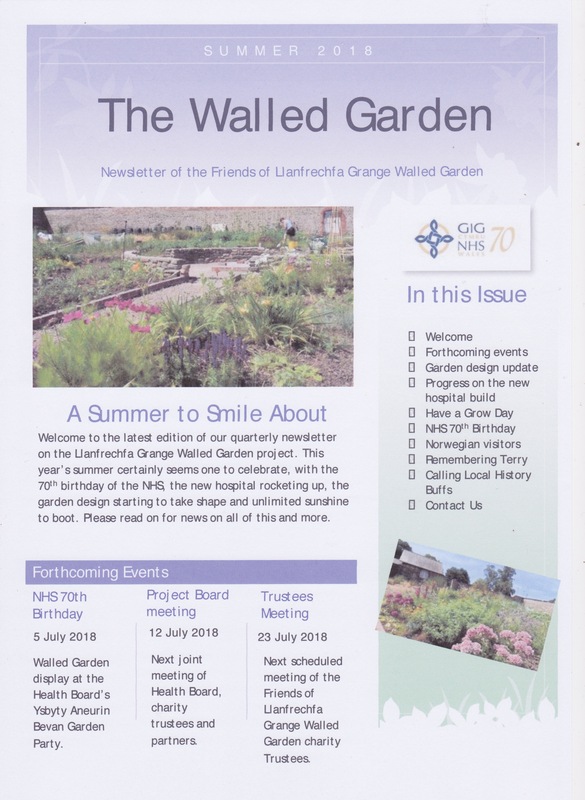 Welcome to the Summer 2017 edition of our newsletter, ‘The Walled Garden”. Mon 5 June 2017 – Open 10.00 a.m. – 4.00 p.m.
Do please pop into the garden between these hours and ask for one of the members to serve you. 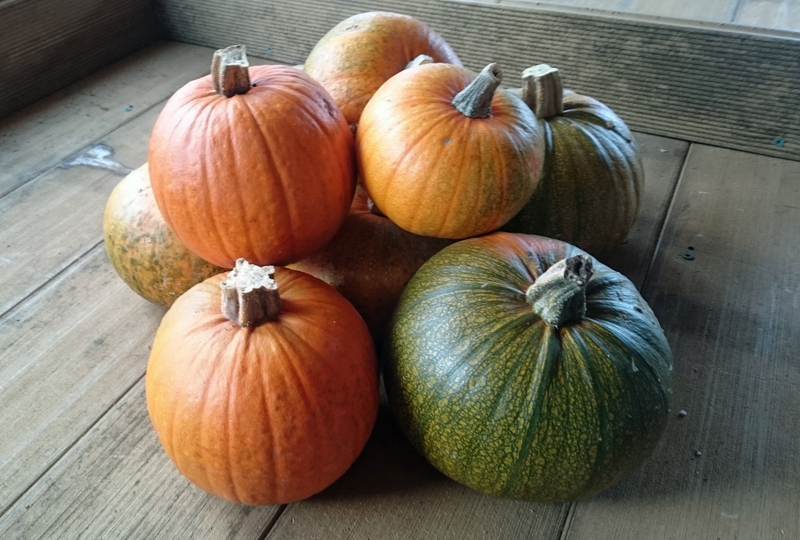 We now have a range of plants for sale to the public including bedding plants, herbs, fruit and vegetables. See price list for more details. Plants for sale – May 2017 price list. Welcome to the first edition of our new look newsletter which we plan to publish every quarter for our members and supporters. 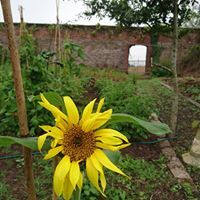 The first public meeting of the Friends of Llanfrechfa Grange Walled Garden was held on Thursday 8 December in the Main Hall at Llanfrechfa Grange. The meeting provided an opportunity to share some of our key achievements over the last year and to start recruiting members to support the charitable aims of the project. Further details of the project is available in our first year report, launched at the meeting, which includes a statement of our financial position. 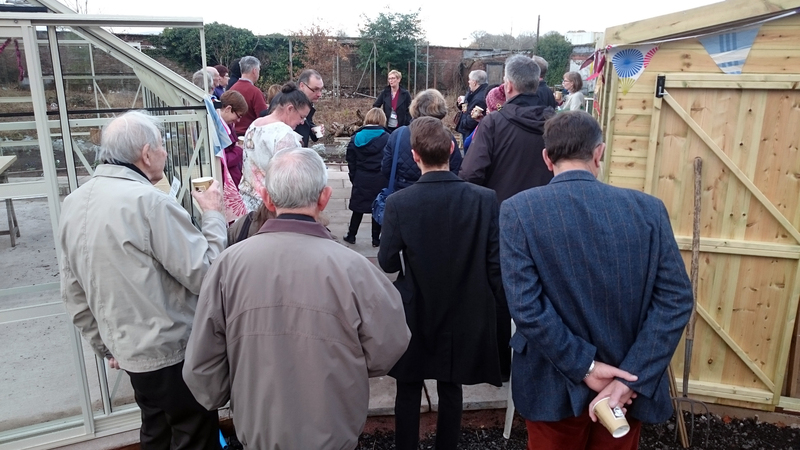 Visitors viewing the Tesco greenhouse and shed. 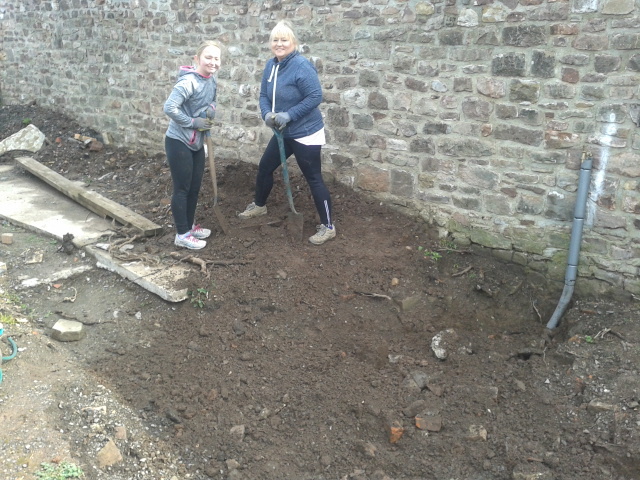 A key achievement was of course, winning a Tesco Community Award to install a large greenhouse and shed for horticultural therapy. 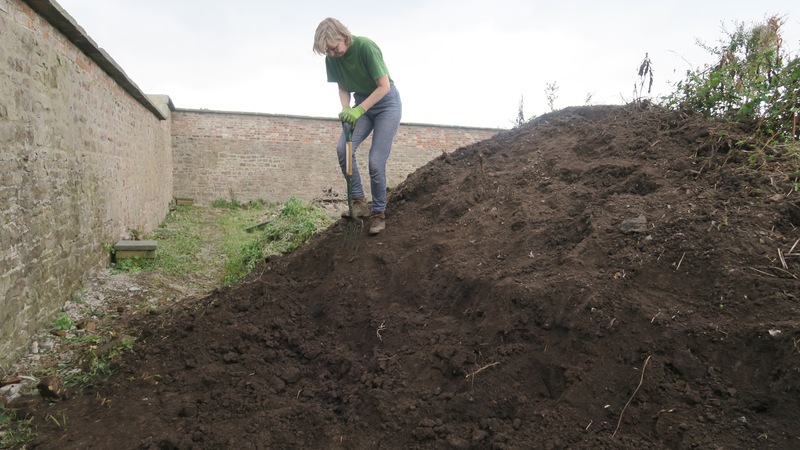 We were pleased to also be able to announce the beginning of our new partnership project with ‘Growing Space‘, which will mean that from early next year, horticultural therapy will be provided to a small group of people with Autistic Spectrum Disorder, helping them develop new skills and potentially pathways into work. In the future, we hope to be able to extend this to other groups. 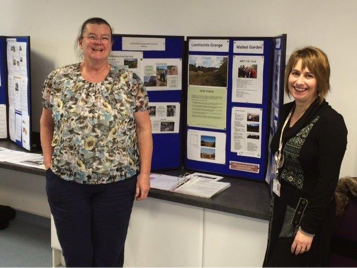 Members of Mencap Cymru were also at the meeting to promote their ‘Hidden Now Heard’ project which is currently focusing on the experiences of people with Learning Disability and those who used to live or work at Llanfrechfa Grange. 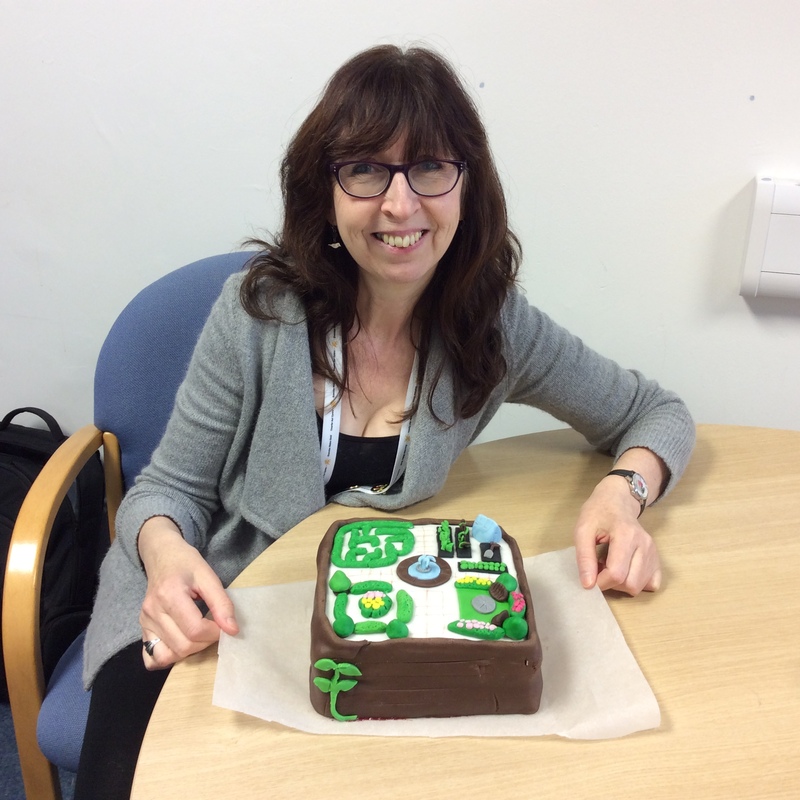 Thank you to Wendy Warren for making the Walled Garden cake. 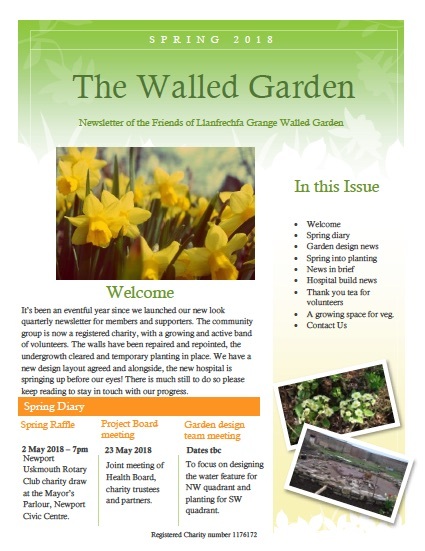 We were delighted to be able to raise £200 at the meeting which came from the recruitment of over 20 new members and a raffle, which had a fabulous Walled Garden cake, made by Wendy Warren, as its first prize. Thank you to every one who took part. Jan Smith serving up hot mulled apple juice. A little earlier in the day, the Chairman, David Jenkins, and Chief Executive, Judith Paget, of Aneurin Bevan University Health Board, hosted a special thank you celebration for our current volunteers and supporters. 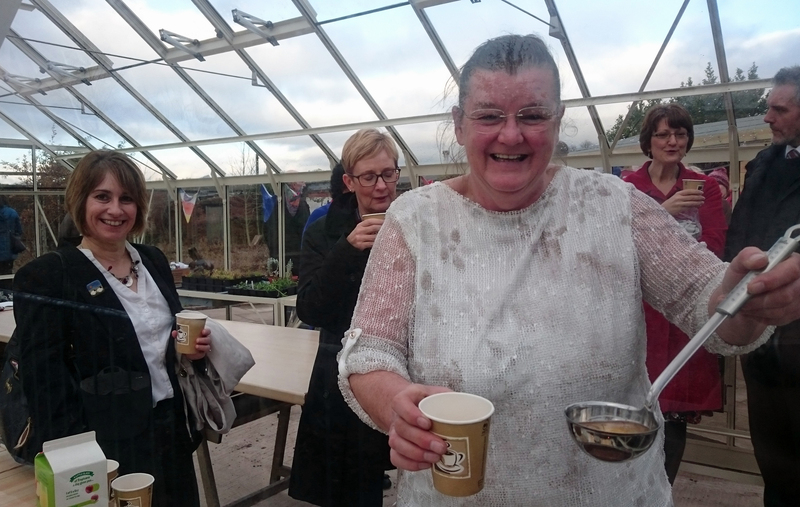 As we were blessed with a fine sunny day, everyone was able to gather together in the Walled Garden with a cup of hot mulled apple juice to hear Judith express her thanks and appreciation for all the hard work put in by volunteers from all walks of life. 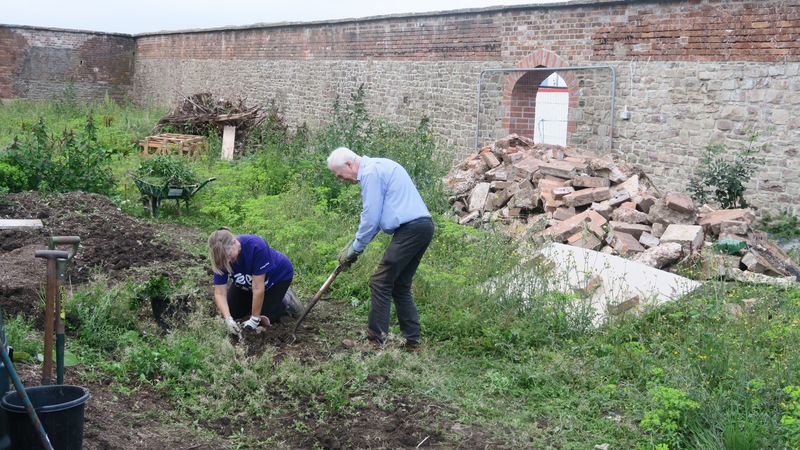 Judith said she was delighted and amazed to see how much progress had been made and to see the garden come back into use, in a way which, with the coming of the new hospital, created a link between past and future. Judith and the Chairman then joined the volunteers for tea and cake in the Main Hall, where they chatted further with individuals. 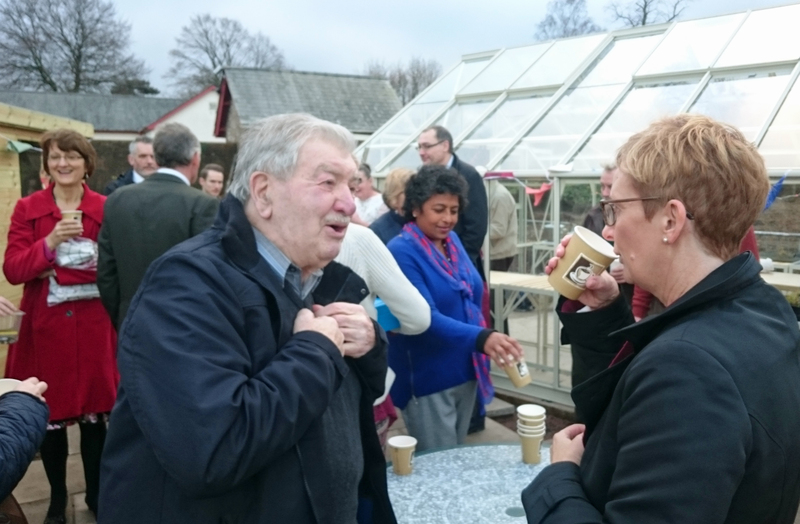 CEO Mrs Judith Paget chatted with Mr Peter Kelly, and other supporters in the Walled Garden. 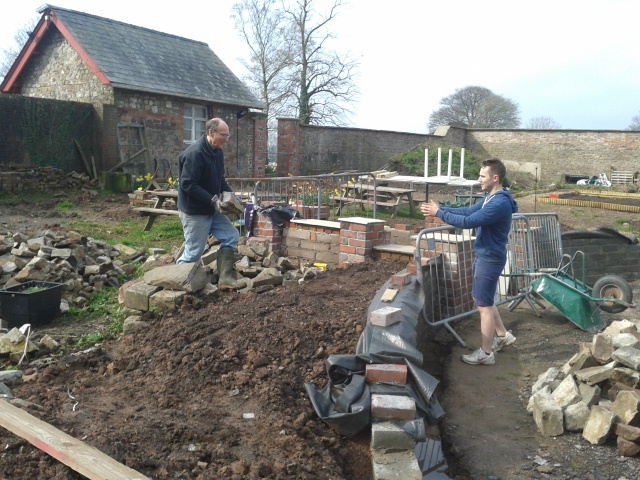 Our ability to redevelop and maintain the garden for the future is dependent on our supporters and funds to buy materials and equipment. For more information on how you can get involved or provide funding support, please visit our Supporting Us page. 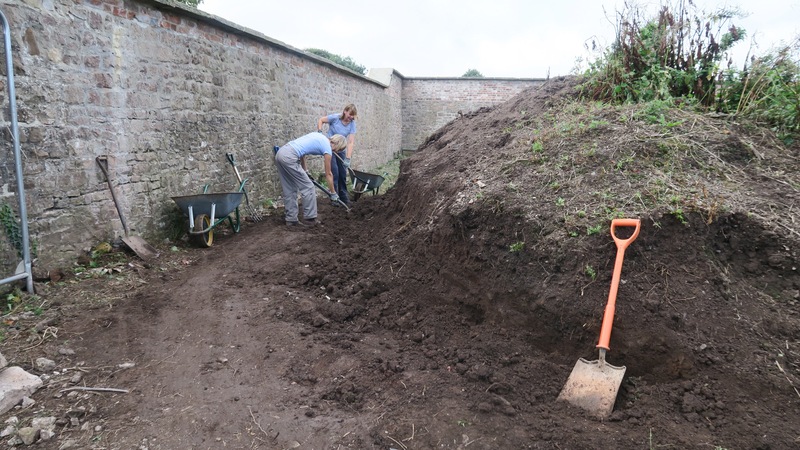 We are delighted to announce that Aneurin Bevan University Health Board (ABUHB) has been successful in securing the Health Standards highest award thanks in part to the support of the Llanfrechfa Grange Walled Garden project. The Corporate Health Standard is the national mark of quality for health and wellbeing in the work place. The standard is designed to promote a continuous journey of good practice and improvement and can be used by organisations to improve the health and wellbeing of their employees. 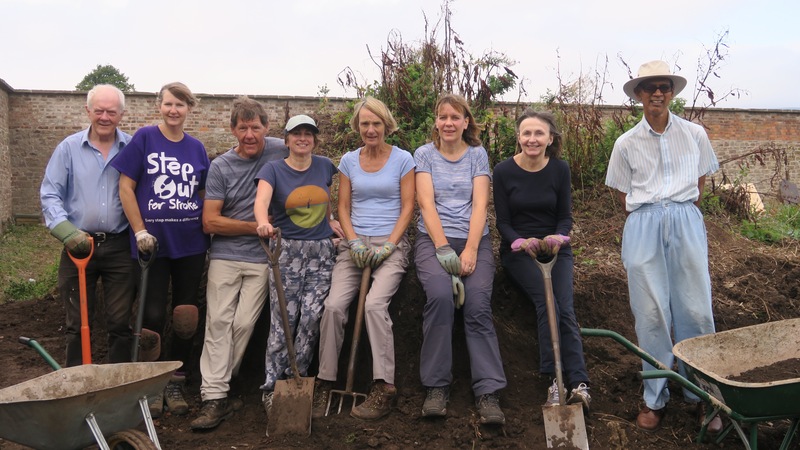 At platinum level ABUHB has demonstrated its commitment to supporting not only their employees, but other organisations and the local community. This involves a range of activities including the promotion of partnership working, sharing knowledge and promoting community engagement. Jan Smith and Angela Fry man the Walled Garden stand at Platinum Award event. 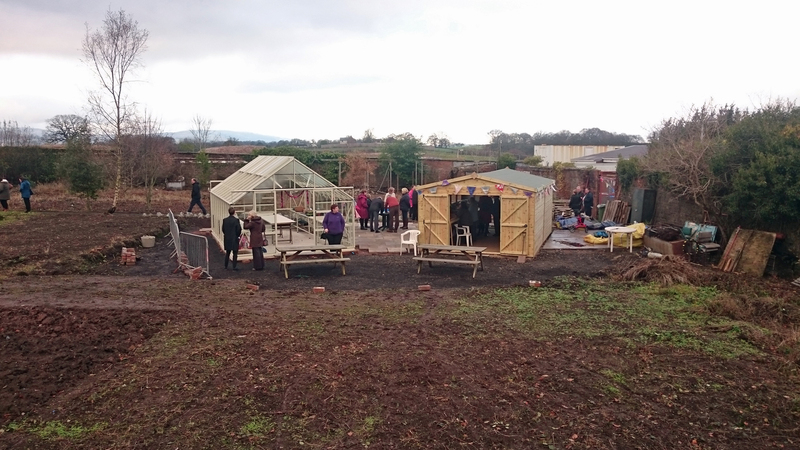 On Thursday 10th December ABUHB hosted the Welsh Government assessors at the Serennu Children’s Centre in Newport and were delighted to be able to include the Walled Garden Project as one of its showcase projects for the assessment day. This project is a great example of how community engagement can provide benefits for everyone involved. 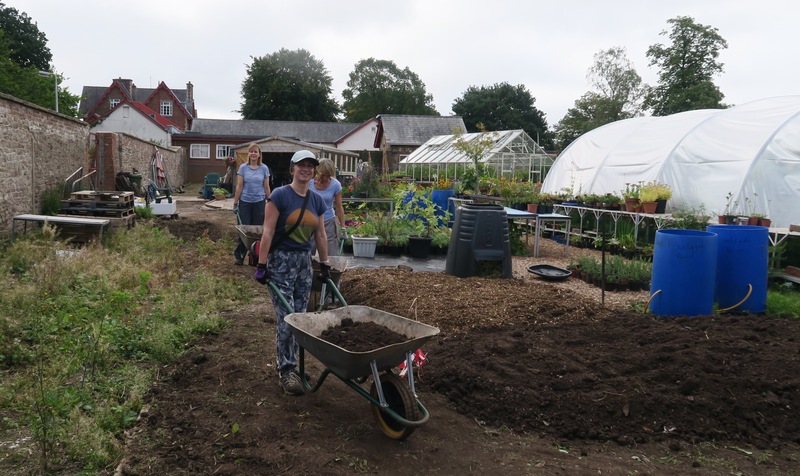 By making the garden available to the community and supporting the community to shape and run the garden for the benefit of the local community it has the potential to be so much more than just a garden managed within a hospital site. 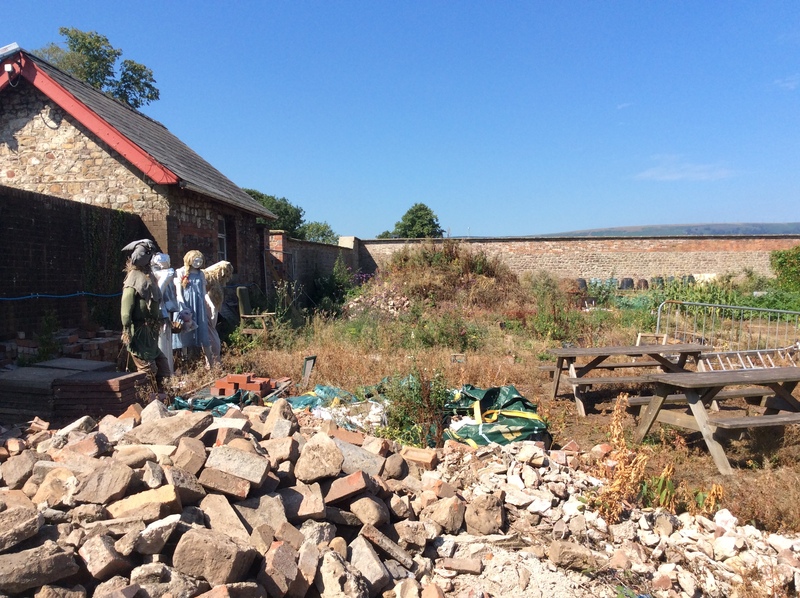 The project team leading the Platinum application would like to thank everyone involved in the walled garden for their support in demonstrating the value of working together.